Izmir University of Economics accepts students from all the countries. (*) “Graduate Degree Diploma with Thesis” is not required for candidates who registered for graduate degree programs without thesis before February 06, 2013. PLEASE CLICK here for Graduate Record Examination (GRE) and Graduate Management Aptitude Test (GMAT) scores or an equivalent score specified in the table. PLEASE CLICK here to have information on exams and scores to be exempt from foreign language competency. To have graduated from departments of Computer Sciences, Computer Engineering, Software Engineering, Industrial Engineering, System Engineering, Informatics, Electric Engineering, Mechatronics, Mathematics, Physics, Logic and Conceptual Sciences and similar departments of (4 year) programs of a higher education institution to apply for Computer Engineering Master Program. To have graduated from departments of Electrical and Electronics, Electric, Electronics, Electronics and Telecommunications, Telecommunications, Control, Biomedical, Mechatronics, Computer, Software and other engineering programs, and “Physics” or similar departments of (4 year) programs of a higher education institution to apply for Electrical and Electronics Engineering Master Program. To hold an undergraduate degree (4 year) in Industrial Systems Engineering, Industrial Engineering, System Engineering, or similar programs of Faculty of Engineering to apply for Industrial Engineering Master Program. In addition to these disciplines, to have graduated from Faculty of Engineering and departments of Mathematics, Physics, Chemistry, Logic and Conceptual Sciences and similar departments of (4 year) programs of a higher education institution. To have graduated from departments of Architecture, Interior Architecture, City and Regional Planning of (4 year) programs of a higher education institution to apply for Advanced Architectural Design Master Program without Thesis. To have graduated from the departments of Mathematics, Statistics, Chemistry, Biology, or Physics, Mathematics Engineering, Computer Engineering, Software Engineering, Industrial Systems Engineering, Industrial Engineering, Electrical and Electronics Engineering with an undergraduate or graduate degree to apply for Applied Mathematics and Statistics Ph. 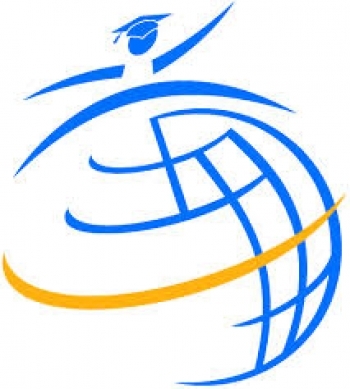 (*)Graduate Degree Diploma with Thesis” is not required for candidates who registered for graduate degree programs without thesis before February 06, 2013. English proficiency certificate if available.